J-Serve provides teens with the opportunity to commit acts that fulfill the Jewish values of gemilut chasidim, acts of lovingkindness, tzedakah, just and charitable giving, and tikkun olam,the responsibility to repair the world, so that we can instill these values into the next generation of Jewish adult leaders. Across the globe, teens will join each other to make their community and the world a better place. Since2005, J-Serve has been a part of Youth Service America's Global Youth ServiceDay weekend. J-Serve Toronto takes place each April and often coincides with Canada's National Volunteer Week. J-Serve Toronto 2019 marks the tenth year in which Toronto-area teens will have the opportunity to participate in the international initiative, thanks to funding by UJA Federation of GreaterToronto and BBYO. The international day of Jewish youth service has always been an enormous part of the Regional Shlichims’ role in Lake OntarioRegion. Hosting the largest J-Serve internationally, there is always pressure to make each year better than the last. This year is such a big year forJ-Serve as a whole because we are celebrating the 15th annual J-Serve! On April 7, 2019, a prospected five hundred plus Jewish teens (in Grades 6-12) will unite for an afternoon of community service and improvement projects that tackle issues and causes like poverty, hunger, homelessness, genocide, human rights, health, bullying, and inclusion. This year for ourJ-Serve, we are going big! To begin LOR’s J-Serve 2019, we will be having an exciting kickoff event, with food, music, speakers and more. Following this awesome opportunity, our volunteers will be split up into their specific service projects. We are in the process of planning nine community projects in partnership with several amazing organizations, giving each volunteer the chance to participate in a service project that they are genuinely passionate about. This variety of volunteer opportunities help to make the volunteers feel more engaged within their service project and get more out of it. A few organizations we have the privilege of working with this year are Ve’Ahavta, One Family Fund, and Yellow Brick House. Our J-Serve planning committee has been doing an amazing job creating these amazing sessions and we could not be prouder of our team! LOR’s J-Serve has been continually growing in membership over the past few years, exceeding 400teenagers from all across Toronto and the Greater Toronto Area. This year, as we inch closer towards April 7th, we are building hype and looking forward to having our biggest and best J-Serve to date, with more than 500 participants!Through our effective social media campaigns, fueled through our chapter Shlichim network, as well as our LOR exec network, we are able to inspire more teens to come out and volunteer with us. We are also spreading the message through word of mouth. Having teens share from positive past experiences with their friends and family. 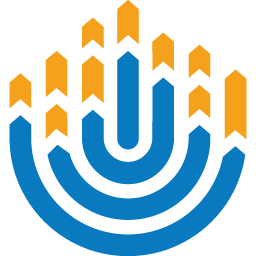 Finally, by reaching out to the other Jewish youth organizations within our community such as NCSY, Tzofim, and USY to name a few, we are able to help engage and uplift more Jewish teens each year. We are thrilled and honored to be coordinating such an impactful and important event to our community, and we encourage you to elevate your J-Serve. We grow more and more excited as our J-Serve event approaches, and we hope you share our excitement within your own communities. We encourage you to share this article with as many brothers and sisters to continue building hype within our order for such an amazing event. J-Serve allows Jewish teens to make a difference within their own community and inspire younger generations to enact change and become amazing Jewish leaders. Each year, we both love seeing how the event unfolds and the positive outcomes and feedback from participants, partners, and those that we are helping. J-Serve embodies the values that we as Alephs and B’nai Brith Girls strive towards through ourStand UP campaigns and order-wide movement initiatives. We are so thrilled to see how our J-Serve event unfolds alongside the other projects happening in other communities! Dylan is an Aleph from Lake Ontario Region who is currently serving as the 2018-2019 Regional Shaliach. He enjoys playing many sports such as volleyball and badminton. Sydney is a BBG from Lake Ontario Region who is currently serving as the 2018-2019 Regional Sh’licha. She can also speak French!